So, a little while ago, a post went viral on the World Wide Web, and on a marvelous blog called The Unmumsy Mum. The post was by a mum, at her wits end, who was trying to help one of her kids with their homework. Here’s the full story on Ruth!!!! If you want to have a read of the back story. Anyhow, this got me thinking. There is also a dude called Bill doing the rounds on the Internet at the moment. He too is a smug git who never does anything wrong, doesn’t annoy people and is generally pretty perfect. We must stop them before we look, and feel, even crapper than we already do about our mediocre lives and our merely average performing children. 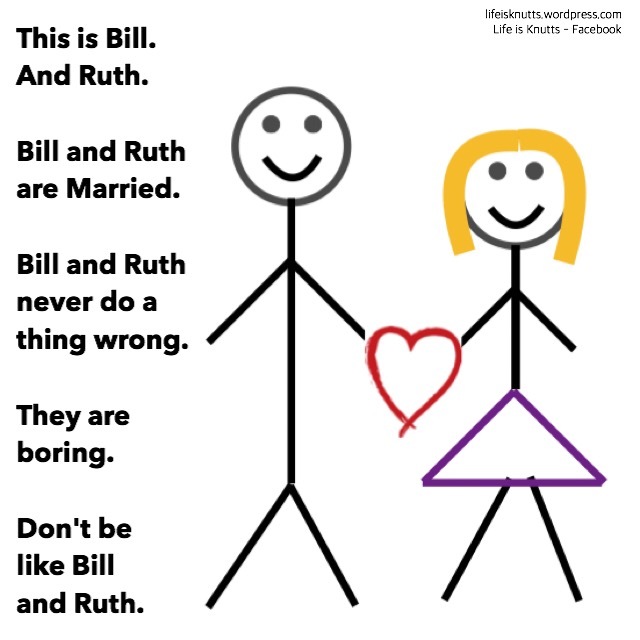 Don’t be like Bill. Or Ruth.